The president has said he will approve or deny the Keystone pipeline based on its impact on climate change. So how bad would it be? 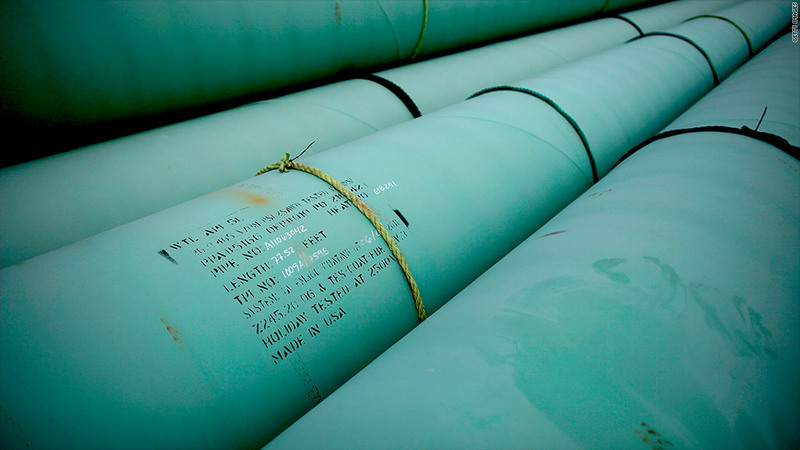 Will the Keystone pipeline ever get built? President Obama has made clear that his approval or rejection of the pipeline's expansion will depend on its impact on climate change. Up until now, Obama's State Department has said the pipeline won't be that bad. It's true that the oil the pipeline is set to carry is dirtier than most crude refined in the United States. But the State Department believes that oil would still make it to market one way or another. And if it doesn't, it would likely be replaced with oil from Venezuela, which can be just as dirty. That means that Keystone's impact on the environment would be a wash. But those arguments are disputed, and the State Department is currently revising its opinion. The final report is expected to be issued before the end of the year, with a decision from Obama sometime thereafter. 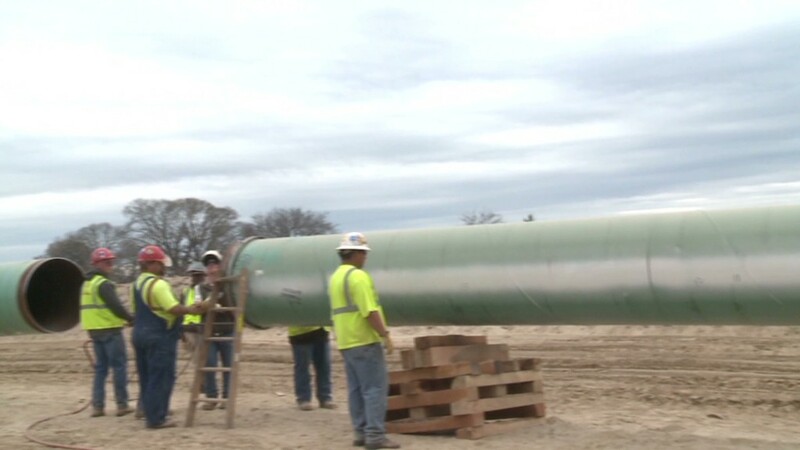 If the pipeline is ultimately approved, how bad will it be for the environment? There are a host of issues when it comes to the Keystone expansion -- the $5.3 billion dollar project TransCanada (TRP) wants to build to carry 830,000 barrels of oil a day from Canada's oil sands region in Alberta to the U.S. Gulf Coast. Spills, deforestation, and toxic runoff could be some of the consequences of expanding the pipeline and the oil sand production it would facilitate. But with the proper regulations and mitigation measures in place, many of those risks may be manageable. The real issue is climate change. Oil from the oil sands emit 17% more carbon dioxide than the average barrel of crude refined in the United States, according to the State Department. This is largely due to the heat that's needed to separate the oil from the sand. And Canada has a massive amount of oil sands. There's more oil sand oil in Alberta than all the conventional oil in the United States and Russia combined. If every drop of oil from this region is burned, it's "game over" for the climate, former NASA scientist James Hansen wrote in an editorial last year. That's what environmentalist fear most -- a huge expansion in production from the oil sands, and they see Keystone as the enabler. But all that oil is not going to be burned. With existing production methods, only 10% can be extracted, according to the consultancy IHS. IHS estimates that by 2030 oil sand production will more than double to 4.5 million barrels of oil a day. By that time, the world is expected to be producing around 100 million barrels of oil a day. So 4.5% of the world's oil would be 17% dirtier. How big of a deal is that? 0.4%, exactly. That's the percent of global greenhouse gas emissions that would come from Canadian oil sand production by 2030 if oil output from the region indeed doubles, according to IHS. "That's important to keep in perspective," said Jackie Forrest, a senior director at IHS in Calgary. "If you want to materially impact emissions from oil, the key is to use less oil." So why are environmentalists so fixated on this pipeline? There are a few reasons. They don't see 0.4% as nothing. Over the course of 50 years, the extra greenhouse gas emissions that would come from just the oil carried by Keystone would be almost as much as all the emissions saved from the new fuel efficiency standards on heavy trucks, and roughly double the amount saved from the effort by several northeast states to voluntarily restricting greenhouse gases, according to the Natural Resources Defense Council. They also fear oil sands production will soar well past 4.5 million barrels a day, and could top 8 or 10 million barrels per day -- a scenario IHS said was at least conceivable if all the plans announced by all the oil companies came to fruition. But mostly they view Keystone and oil sands in general as a gateway to more carbon intense fossil fuels. After all, it's not just Canada that has oil sands -- Venezuela is loaded with them too. And there's something known as oil shale -- not to be confused with the shale oil currently coming out of North Dakota -- that's more like a coal substance and is very high in carbon. "Our path to ever dirtier forms of energy is paved by the decisions we make," said Susan Casey-Lefkowitz, director of international programs at the NRDC. "You have to start saying no someplace."